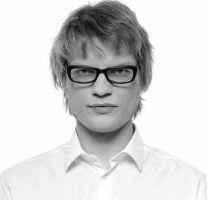 Eivind Buene studied pedagogics and composition at the Norwegian State Academy of Music from 1992 to 1998, and in 1999 and 2000 he was composer in residence with the Oslo Sinfonietta. Since 2000 he has been a freelance composer living and working in Oslo, writing for a wide array of ensembles and orchestras. He has recieved commissions from among others Ensemble Intercontemporain, Birmingham Contemporary Music Group, Fondation Royaumont and most of the Norwegian Orchestras and ensembles. In 2006/2007 Buene was composer in residence with Kristiansand Symphony Orchestra. Apart from writing music for soloists, ensembles and orchestras, Buene also frequently engages in collaborations with improvising artists. Among these we find musicians like the pianist Christian Wallumrød, Duo Zach/Grydeland and the saxophone player Frode Gjerstad. In autumn 2005 Buene had his first perfomances with The Oslo Philharmonic Orchestra and with Ensemble Intercontemporain, and he had his Carnegie Hall debut with the Norwegian Chamber Orchestra in january 2006. His debut as a stage composer came in august 2006 with the one act chamber opera September, and he is currently developing a new project for The Norwegian National Opera.